*you should have a set of light a dumbbells for 4/5 of the number of clients in your class and enough heavy dumbbells for 1/5 of the number of clients in your class, enough heavy weights for 1/5 your class, enough resistance bands for 1/2 your class, and enough exercise mats for 1/5 your class. We are hitting it hard today! 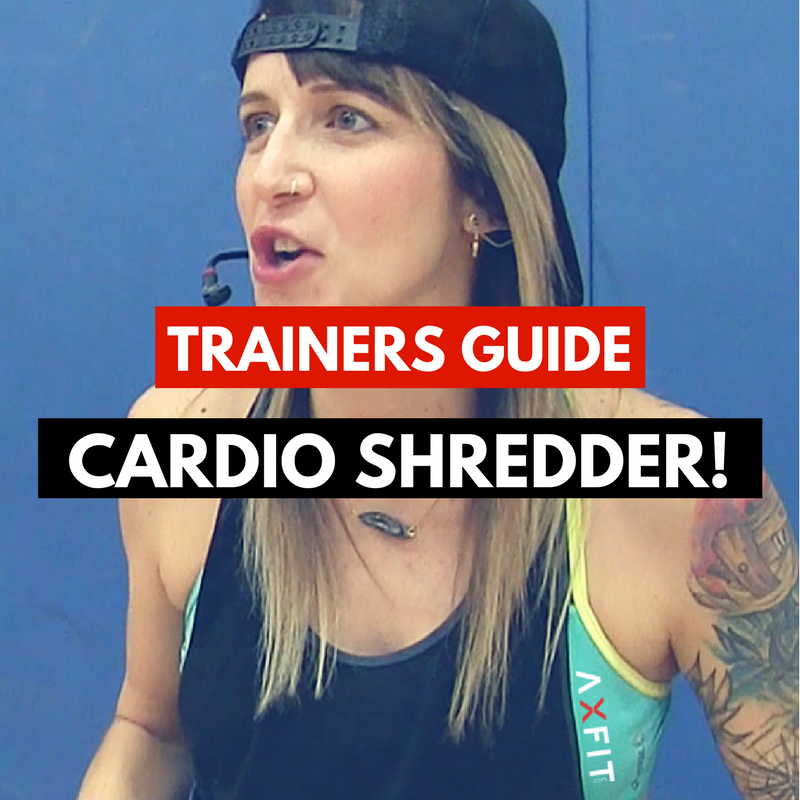 This is a big mix of bodyweight drills, partner exercises, a 5 station circuit using a mix of equipment, and some abs/sprints to finish. If you don’t have all the equipment i’m using in the circuit no worries, i’ve included modifications. 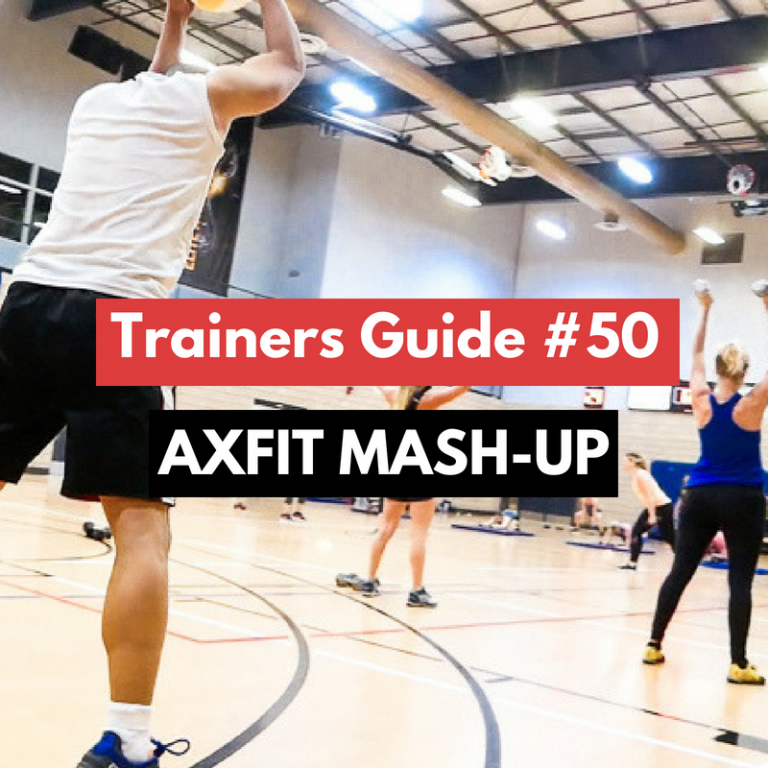 This is a true AXFIT Mash-Up of all my favourite workouts and phases. 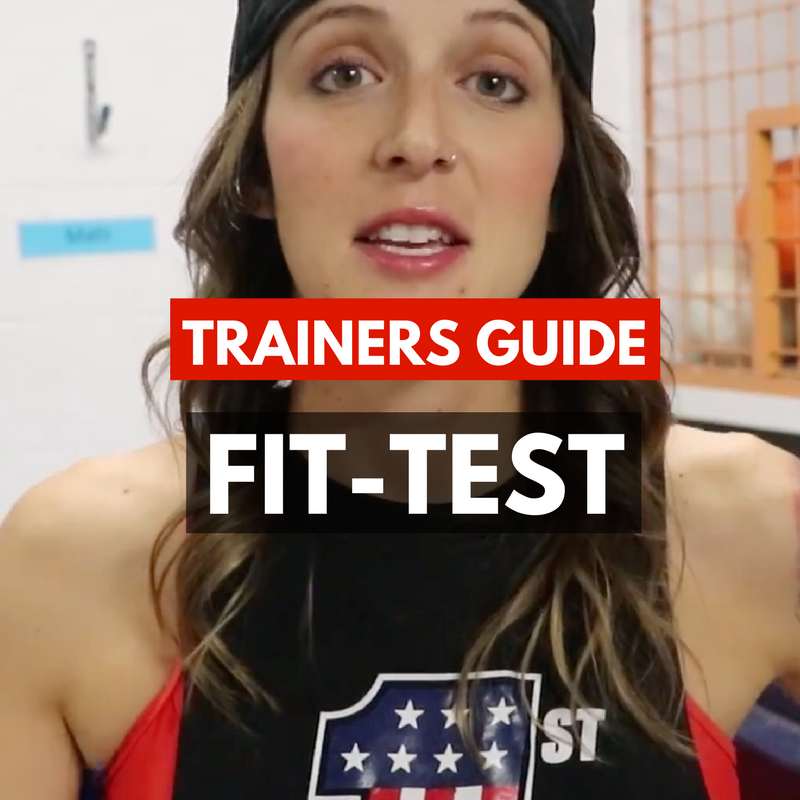 This is a perfect workout to recycle and switch up over and over. 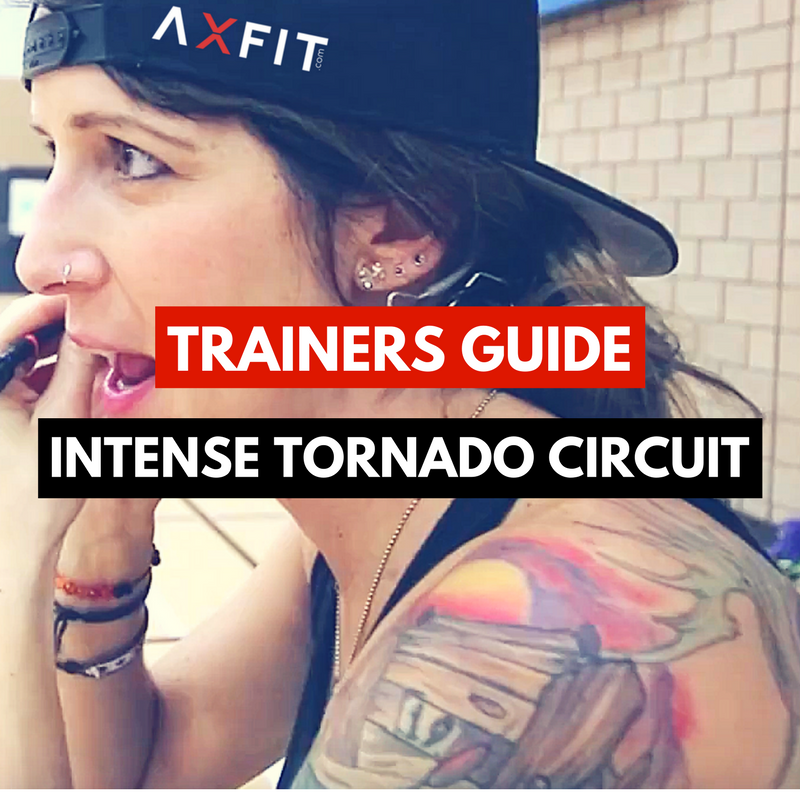 Shock your clients bodies, train this hard, and have fun!